One of my goals as an administrator in 2018 is to help our parents understand how technology has changed the learning experience for students. I know that what happens in our classrooms today is structured in a way that is different than it was even a few years ago. For most of us who went to middle school decades ago, it is entirely different! Throughout the year, I want to provide opportunities, with our newsletter and other formats, for parents to see how learning has changed and how truly cool it is! Please continue to watch the newsletter for more information and opportunities to experience learning in the digital age of 2018. Today’s tidbit is about google keep. Personally, I am learning to use it as a shared method to keep life well-managed. The capacity is enormous and our kids who use it are finding it incredibly valuable. It is a tool that can be used as a planner tool to help organize, track assignments, and prioritize time. It is fairly intuitive if you want to check it out yourself. My last message is around the personal technology use of our students. As I share with kids and parents, if a parent decides to allow their student to have a device, the student must allow the parent full access to everything that happens on the device. It is through monitoring and subsequent conversations that safe interaction occurs. There are so many wonderful things that technology can do; when it is used correctly. Please know that I send that message to our students every opportunity I have. It is your device and that gives you access. Through working with our counselors, this message is sent consistently and regularly. Through all of us working together, we will help our kids become responsible users of a tool that will remain to be a part of life. Lastly, conferences are this week! I look forward to seeing our families on Thursday evening or Friday during the day. As always, if you want your child to attend, that is absolutely appropriate. We like to leave the decision to families as to what feels most productive. As a staff, we work to make the five minutes as valuable as possible. Please check all of your child’s courses in Schoology to be up to date as to how they are performing in class. This will help make the conversation at conferences more meaningful. Tech Tips from Sara Hunt – during conferences! 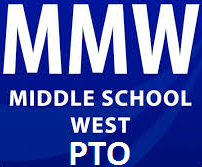 Interested in learning more about our Tech Tools at MMW? We have time set aside during conferences to help you with this. Please join our Instructional Technology Coach and Media Specialist in the media center from 4:15-5 on Thursday or 12:15-1 on Friday. We will talk through basics of using Schoology and Schoology Gradebook as a whole. We will also touch on other helpful tools we use for learning at MMW. Interested in learning more about how to check grades and decode the gradebook symbols? Watch this tutorial to assist you with the process. October is national bullying prevention month. MMW would like to recognize this by doing a variety of activities. We kicked off our events with “Kindness in Chalk” on October 1. Students came together to fill our front walkway with positive messages to greet students as they entered the building. We have also started our very own RAKtivist (random acts of kindness activist) club. This club is open to all students and we meet every Monday after school. Contact Heidi DeVaun, student climate para, for more information. Finally, on October 24, we will be recognizing Unity Day by asking students to wear orange in support of bullying prevention. On this day we will also ask students to sign a pledge against bullying and unite for kindness. Below are some great websites that share resources for parents and students on how to deal with bullying as well as how to be a part of a kindness movement. If you have any questions regarding your child’s immunization status please call the Health Office at (952) 401-5318. Check out our Facebook page for up to date news about MMW. The Facebook page is a great place to get up-to-date information, especially with winter and bad weather right around the corner. Think Snow Days and Late Starts! If you have been assessed a fee, please pay via your Skyward account. Erin Walsh will offer a Parental Survival Kit that is chock full of practical advice for dealing with the many issues we all face as our elementary kids move into middle school and as our middle schoolers become true ‘teenagers’. With this arsenal of strategies, parents can help kids learn to control impulse behavior, cope with their changing bodies, avoid power struggles and most importantly stay connected with their child throughout this challenging time! The SignUpGenius for the October Conference Dinner is now available! There are a few open slots. Previous Homecoming Week at MMW! !